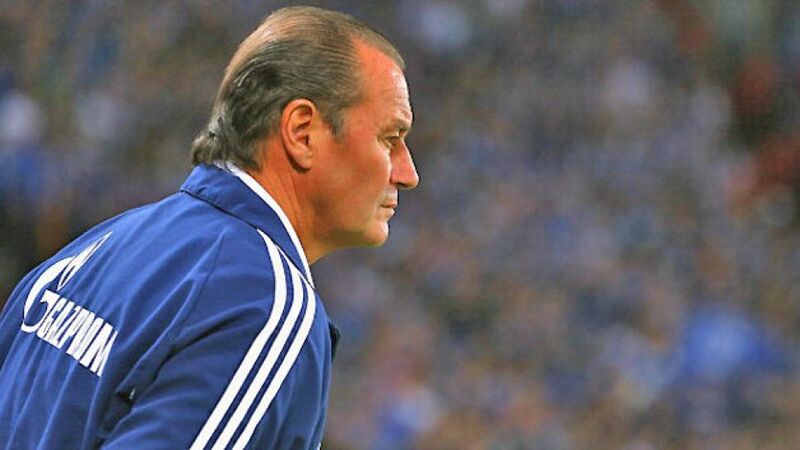 Huub Stevens' FC Schalke 04 are the latest Bundesliga outfit charged with attempting to break the Fortuna Düsseldorf resistance when they travel to the ESPRIT Arena on Friday evening (kick-off 20:30 CET). Fortuna are the only side still to concede a goal in the Bundesliga this season, and begin Matchday 6 just a point behind the Royal Blues in fifth place. While fellow promotees Eintracht Frankfurt have been causing a storm mixing it at the top with league leaders FC Bayern Munich, Norbert Meier's Fortuna have been making waves of their own. 450 minutes of the season have passed, and still the Bundesliga's most well-oiled of machines is yet to have seen its back line breached. FC Augsburg, Borussia Mönchengladbach, VfB Stuttgart, SC Freiburg and SpVgg Greuther Fürth have all tried, and failed. Three successive goalless draws were beginning to suggest scoring was going to be as much as a problem for them as it is for the rest of the division against the Rhine club, but a comfortable 2-0 win in Fürth on Matchday 5 demonstrated how Fortuna have more than one string to their bow as they made it two wins and three draws from five Bundesliga outings. Schalke came up short in their first real test of the season against Bayern last Saturday, but returned to winning ways with a Matchday 5 success over 1. FSV Mainz 05. However, despite the win, fans and players alike were beginning to grumble at their side's lack of bite in front of goal. That might seem a little harsh in the context of the Bundesliga standings: Schalke have already found the net ten times and sit fourth in the table, five points behind Bayern and two clear of champions Borussia Dortmund. The concern, then, is whether they have the ability to bridge that gap and turn it on in the big games. Fortuna are now hot on the heels of VfB Stuttgart's season-opening record of eight Bundesliga outings (780 minutes) without conceding, but they're also chasing a first win on their own turf this term. Midfielder Ken Ilsö scored against Fürth and seemingly provided the creative edge missing in previous outings to back-up the sterling work of Tobias Levels and Co. at the back. Schalke's forward prowess won't find many tougher nuts to crack than Meier's seemingly inpenetrable back four, so they will need Klaas-Jan Huntelaar at his goal-getting best if they are to end Fortuna's streak. The Dutchman has struggled with a niggling toe injury of late, but has already made it clear his side "want to go [to Düsseldorf] and win."